This physician's brand of proteolytic enzymes is less expensive than other brands. It contains thymic immune glandular, zinc, and now more than 6x strength pancreatin. This natural enzyme formula is able to assist the body in combating a variety of adverse inflammation trauma and arthritis, as well as the development of ARTHROSCLEROSIS AND HEART DISEASE. * Excipients: Dicalcium phosphate, powdered cellulose, vegetable stearic acid, silica, modified cellulose gum, vegetable magnesium stearate, pharmaceutical glaze. 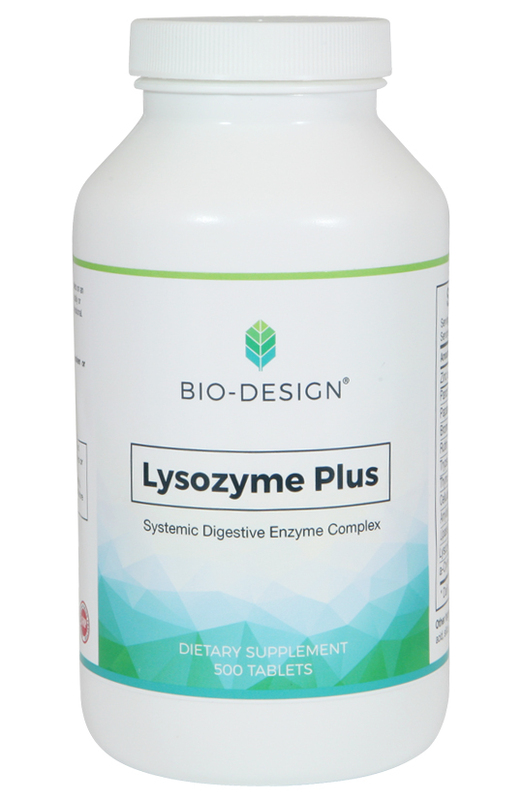 * LYSOZYME is ingested an hour or two hours after eating so function systemically, rather than locally as digestants. The systemic absorption into the blood is key. Inflammation is the body's protective response to trauma, however, it produces pain and delays healing. Inflammation begins with increased capillary permeabiliy, then plasma infiltrates the soft tissue of the trauma where plasma proteins denature and congeal, resulting in edema. Protein digesting enzymes attack and break down denatured inflammation and promote healing through restoration of circulation to the injury. The same mechanism supports reduction of arthritic inflammation caused by arthritis, Lupus and other auto-immune inflammatory conditions. * Proteolytic enzymes support the health of the circulatory system and heart. Circulating proteolytic enzymes act upon denatured protein, their substrate, inhibiting thrombophlebitis. They reduce platelet aggregation which contributes to high blood pressure. Circulating proteolytic enzymes inhibit damage cause by free radicals to the blood vessel endothelium. * Lysozyme Plus may be taken in association with SURGERY AND TOOTH EXTRACTIONS, promoting healing by limiting swelling and the formation of scar tissue and adhesions. 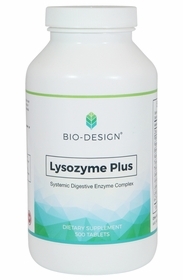 Lysozyme Plus has no side effects or drug interactions. It does not cause renal, hepatic or other damage associated with NSAIDS. Always take on an empty stomach. For acute inflammation now take only four tabs three times per day, then reduce by half after a few days. When taken for tooth surgery, take four tabs three times per day, beginning two days before the procedure and continued for a week after.